Women have a lot to celebrate when they reach the age of 40 or beyond. Careers often reach a high point and many people now feel more confident than ever about their political, spiritual, and other views. With a little better bank account than what they had a decade or two ago and their children reaching the age of independence, women find it easier to have the freedom to do what they want. Unfortunately, this age is also when many women enter menopause or perimenopause. The arrival means hot flashes, sleep disturbances, and energy loss. Cloudy thinking, mood swings, and frequent headaches diminish the excitement of independence and extinguish the ambition to carry out mid-life goals. Many women now rely on hormone replacement for rejuvenation. Consider these benefits of hormone replacement. Middle-aged women have a lot to feel confident about between their careers, family life, and their many other achievements. Despite these successes, some of those confidence levels drop when the woman looks in the mirror. Even the most serious-minded individuals want to look their best, and midlife hormonal fluctuations can mean weight gain and hair loss. A full, lush head of hair makes people feel more attractive. Estrogen plays a significant role in hair growth. This hormone is why hair grows faster and seems thicker during pregnancy but thins quickly after giving birth. Falling estrogen levels slow the growth of hair so that it no longer keeps up with the normal shedding people experience. Women will notice thinness and even potentially bald spots. Excess weight is another concern for many women. Hormonal dips create what is known as the middle-aged spread. The metabolism slows and fatigue reduces activity levels and the result is weight gain. Loss of sleep from hot flashes or insomnia raises the stress hormone cortisol, and this causes extra inches to accumulate around the waist. Achieving goals becomes easier when people have enough energy to get through the day. Extreme fatigue occurs regularly during menopause. Many women are not only tired but feel physically weak as well. People may lack the ability to work all day, take care of personal errands, and put in an effort towards their other life goals. Balanced hormone levels enable people to sleep better at night. The stable levels during the day prevent the hormone crashes that can lead to sudden and debilitating weakness, or stop the fatigue that strikes in the mid-afternoon each day. Exercise also helps to boost energy levels. Once the fatigue is gone, people find being more active much easier. Forgetfulness and an inability to concentrate is known as brain fog. The inability of otherwise capable, intelligent people to remember details or focus on one thing becomes frustrating for them and for others around them. Some women mistakenly believe this is a sign that they are old and failing. In reality, brain fog is a sign on a hormone slump. Medical studies have shown that fluctuations in various hormones like estrogen and progesterone cause brain fog. Add a sleepless night due to hot flashes or another menopause-related problem and cognition can fail dramatically. Depression and mood changes also affect many women when hormonal fluctuations begin and exhaustion, memory loss, and weight gain add the emotional pain. Women can reverse all these problems and have the energy, clear thought, and confidence to take on new challenges. Mid-life hormonal changes do not have to take over your life or take away your dreams for the future. 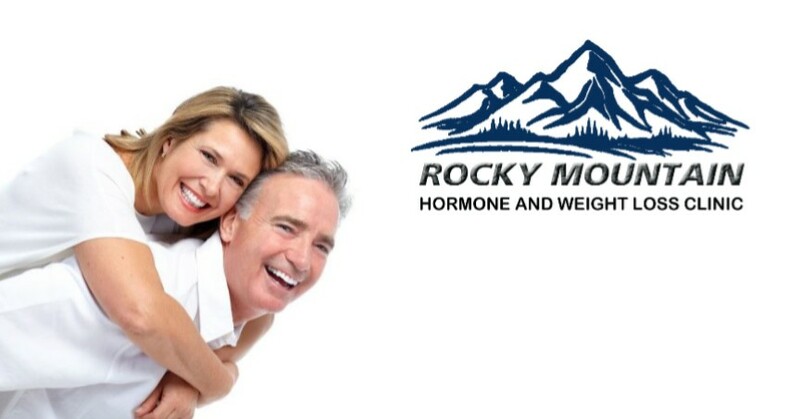 At Rocky Mountain Hormone and Weight Loss Clinic, we can help you to get the balance you need for a happier and healthier life. Contact us today.